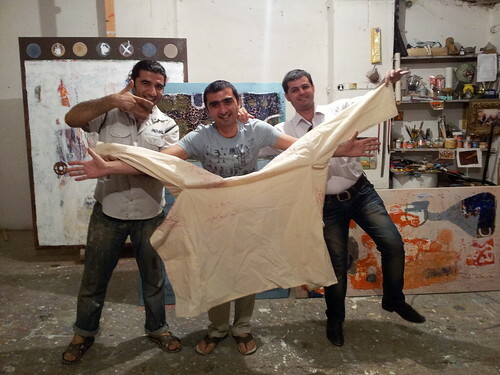 We met three amazing Azerbaijani visual artists. Anar, Adil and Emin have been friends for many years. 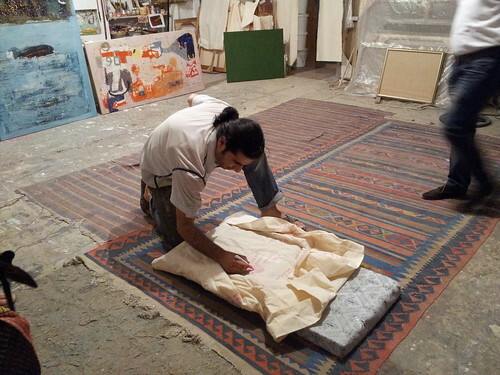 Anar and Emin’s studio is located right next to the president’s executive office in Baku. “Our president and our artists live very close to each other. Sometimes we like to yell out to him: We need more paint and more brushes.” Anar laughs. 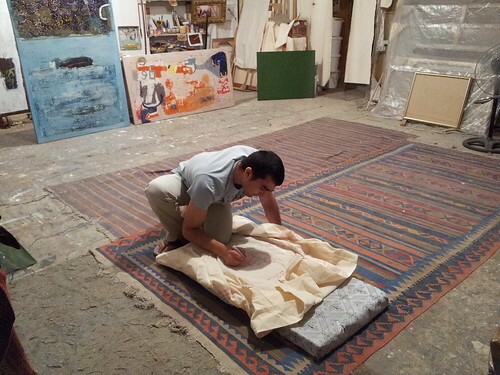 All three artists have been traveling and held exhibitions all around the world. Adil has also been to Vienna (www.base-level.com) and will probably return sometime soon. It was a series of coincidences that lead the Global Jacket into the hands of Eurovision contestant Lukas Plöchl and high-society reporter Dominik Heinzl just before the Trackshittaz’ last rehearsal. Unfortunately Austria didn’t make it to the final show of the Songcontest.